Each March, Fishtown restaurant, businesses and ambitious residents descend on the Fillmore to show off their chili-making chops. 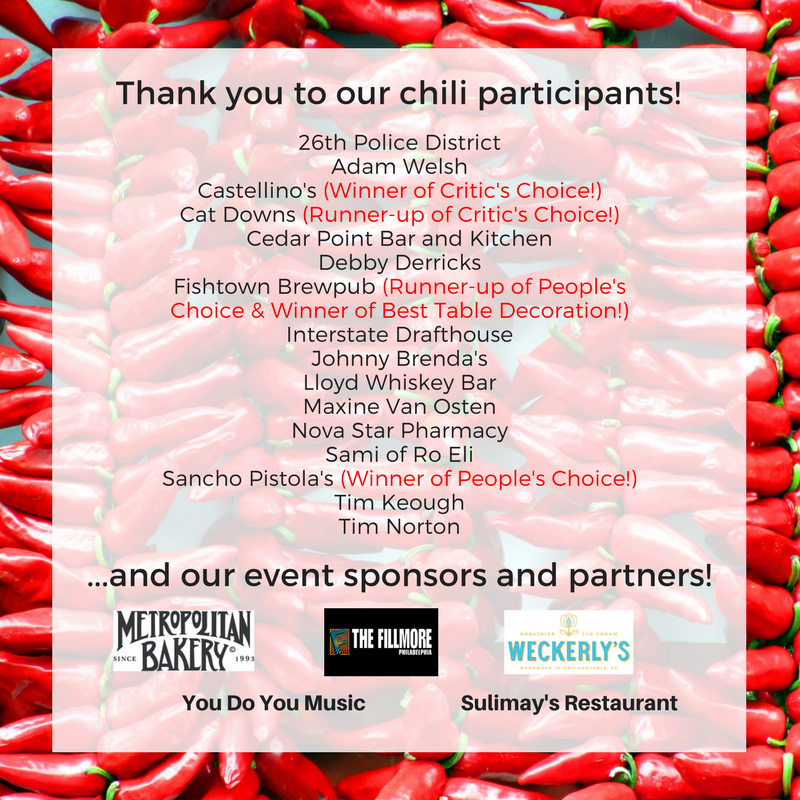 With two categories, People's Choice & Critic's Choice, the competition is fierce but the event is nothing short of a chili-induced party complete with live music and neighborly comradery. And as always, proceeds from tickets support Fishtown Neighbors Association activities. Thanks to everyone who came out for the 2018 FNA Chili Cook Off! Hats off to Castellino’s, Cat Downs, Fishtown Brewpub, and Sancho Pistola’s on the top honors! From all of us at Fishtown Neighbors Association, we want to thank you for coming and making one of our biggest fundraising events a success. If you didn’t get a chance to stop by for a bowl of chili—or a photo with Mayor Jim Kenney!—you can still support Fishtown Neighbors Association’s 2018 work with a tax-exempt contribution.